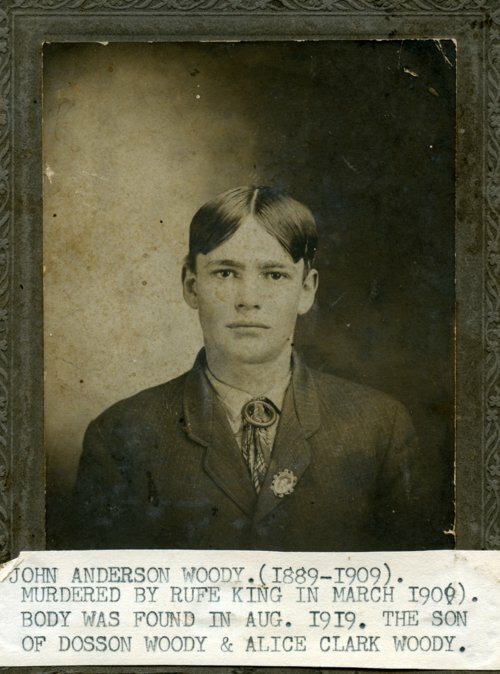 This is a portrait of John Anderson Woody, the son of James Dawsen "Doss" Woody and Alice Clark Woody. He was born in Paxico, Kansas. He was murdered by Rufe King in March 1909 and his body was found in August 1919.